Conflicting Ratings For Home Health Agencies Can Be Puzzling : Shots - Health News Medicare compiles ratings of agencies' quality and of patients' perceptions. But the stars assigned by the government often don't align. Ratings on patient satisfaction and quality of care often don't match. Patients looking for home health care services will be impressed if they check out the federal government's ratings of Brookdale Senior Living. Four of the company's home health agencies — in Florida, North Carolina, Ohio and Rhode Island — each earned five stars, the top quality score, primarily based on Medicare's assessment of how often patients got better. But further research may lead to confusion. Medicare also posts stars to convey how patients rate agencies after their care is over. There, these same four Brookdale agencies earned no more than two stars. "We understand that we have work to do on our patient perception results," Kristin Puckett, a Brookdale spokeswoman, said in an email. "It is vital that our patients' perception of their care is as positive as the outcomes from the quality care we provide." Skilled home health services, where Medicare sends nurses, aides and physical and occupational therapists to people's houses, are becoming more important amid pressures to keep homebound patients from going to the hospital. To help doctors and patients select among more than 12,000 agencies, Medicare published star ratings in 2015 for clinical quality on its Home Health Compare website, and in January it added star ratings to reflect the views of patients. Medicare was liberal in giving top marks based on patients' opinion scores, awarding four or five stars to 74 percent of agencies it rated. Of those, 2,152 agencies got five stars. But for clinical quality, Medicare used a different formula that ensured three-star ratings would be most common. Only 27 percent of agencies received four or five stars. Just 286 agencies received the maximum five stars. Only 30 agencies got five stars from both ratings systems, the Kaiser analysis found. In a statement, the Centers for Medicare & Medicaid Service said the different star ratings shouldn't be confusing. "CMS stresses that website users should look at all of the different types of measures available for a given provider type, including for home health care agencies," the statement said. "By providing both clinically based and survey-based measures, CMS hopes to make available to the public a range of perspectives and information that consumers can evaluate to help inform their decision about an agency." As the number of quality measures has proliferated, star ratings follow other Medicare efforts to distill complex assessments into a consumer-friendly format. Medicare also assigns stars for dialysis center quality, hospital patient experience and several aspects of nursing home care. Some of the differences between home health care patient experience and clinical quality stars can be chalked up to the fact that they focus on different facets of home health care. The clinical quality measures look at how quickly the agency began care; how much patients' mobility improved, getting in and out of bed and bathing; how much pain and shortness of breath decreased and how many patients end up in the hospital. The patient surveys examine how well health care workers explained to patients how to take care of themselves, and whether they treated patients with gentleness, courtesy and respect. The questionnaires also probe whether the workers checked patients' medications for side-effects and properly explained how and why they were being taken. "We're really talking about very different sets of metrics," said Teresa Lee, director of the Alliance for Home Health Quality and Innovation, a nonprofit research group. "It's unfortunate, but maybe it's the truth that patient experience and clinical quality of care do not go hand in hand." Adding to potential confusion, 41 percent of the star ratings summing up patient views are not reliable — by the government's own admission — because fewer than 100 surveys were returned, records show. Home Health Compare warns consumers in footnotes to use the scores "with caution as the number of surveys may be too low to accurately tell how an agency is doing." Medicare did not assign stars for agencies if fewer than 40 surveys were returned. Brookdale's Puckett said it has been challenging to get more patients to return the surveys, which she characterized as "complex," particularly for the very ill. "It is important to point out that our patient population has an average age of 86 and often relies on family members, powers of attorney and/or guardians to complete" the survey, she said. Some elder care specialists have broader reasons to question the ratings. 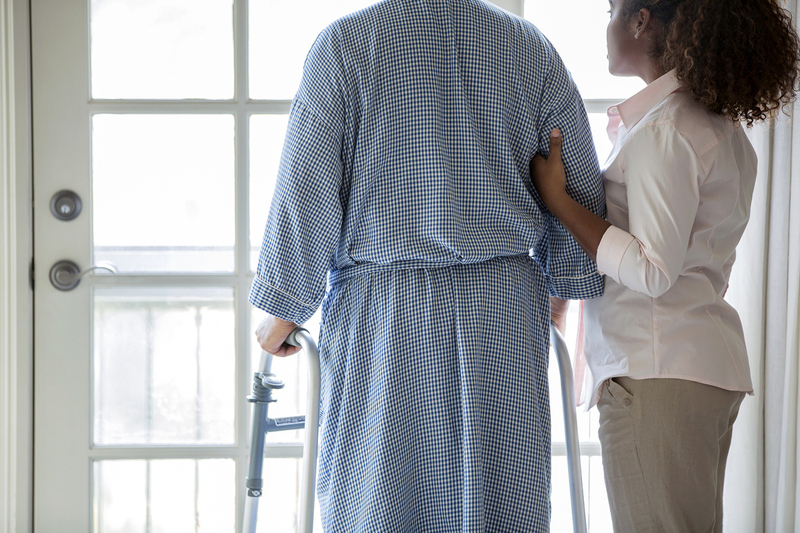 Dr. Joanne Lynn, a geriatrician at the Altarum Institute, a nonprofit research and consulting firm, said much of a patient's health was beyond the control of home health workers, who can visit as infrequently as once every two weeks. "Medicare-covered home health services are so limited, and what they are measuring includes a number of things that, for many people, are not fixable," she said, referring to assessments of how often patients got better in their daily activities. Instead, she said, poor ratings for an agency may reflect an absence of other important services in a region. "If you're in an area that doesn't have a lot of advanced care planning, has a yearlong waiting list for Meals on Wheels, and no doctors who are able to visit people at home, you're going to be stuck with sending sick people back to the hospital," Lynn said. Margaret Murphy, associate director of the Center for Medicare Advocacy, a nonprofit that aids Medicare beneficiaries seeking health services, said she fears that agencies that avoid particularly sick patients may end up looking better in the ratings. "We find that agencies don't want to take those people on," she said. "They can get someone who has just come out of a hospital, maybe after a heart attack and they need a little bit of watching to get back on their feet, maybe they need a little bit of therapy. But they're going to go back to their regular life, as opposed to someone with Parkinson's, who is losing strength and losing balance. They are a big burden on agencies." It is not clear how many patients use Medicare's star ratings, and whether those who do understand them. Lee said, "If you have patients who are very sick, the question is to what extent will they be in a position, because of their health, to really look extensively at this kind of information." If you'd like to share your reaction to this article and your experience with a skilled home health agency, you can contact Kaiser Health News. Send an email to patients@kff.org.